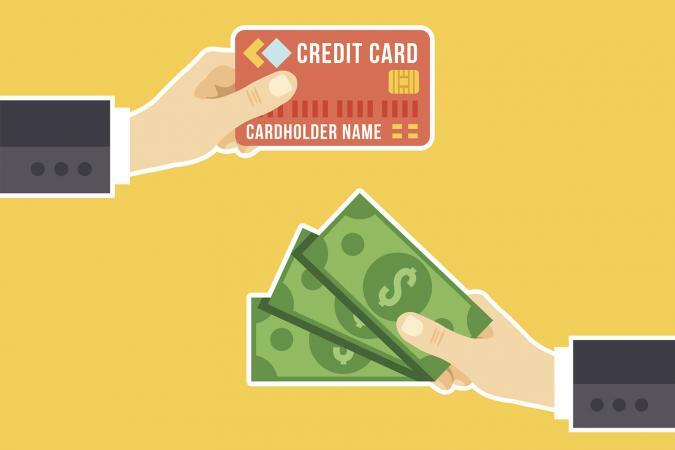 A wide variety of credit card accounts include the opportunity to earn cash back rewards. With so many options, it can be hard to choose among the various rewards programs. Learning about some of the best programs out there can help you focus your search. According to The Points Guy, the Chase Freedom Card is the "best for quarterly bonus cash back." With this account, you are able to select your own bonus merchants each quarter (from a pre-determined list), which means you'll earn five percent cash back from them (limited to $1,500 in combined quarterly purchases). You'll earn one percent cash back on all other purchases. Added account benefits include no annual fee and a zero annual percentage rate (APR) for purchases for 15 months. You'll also get a $150 rewards bonus if you make at least $500 in purchases within the first three months of opening the account. You'll get another $25 if you add an authorized user during that timeframe. NerdWallet likes the Discover it® account with Cashback Match™ for customers who want to maximize cash back rewards. As with the Chase Freedom card, you can enjoy a five percent cash-back option on a quarterly basis and one percent cash back on other purchases. With this card, you don't have a say in what types of purchases qualify for the bonus rate, though. Instead, Discover select specific categories each quarter, and the five percent rate applies to $1,500 in combined purchases for the specified category. With the unique Cashback Match feature, you will also automatically receive "an unlimited dollar-for-dollar match of all the cash back you've earned at the end of your first year." Additionally, this account comes with a zero percent APR for 14 months and carries no annual fee. CreditDonkey recommends American Express Blue Cash Everyday® for people who like the idea of "a cash back credit card with the same rewards categories year-round and no annual fee." Cardholders earn three percent cash back on supermarket purchases (U.S. only) up to $6,000 per year), two percent at gas stations and certain department stores, and one percent on everything else. It's easy to maximize rewards on recurring grocery and fuel purchases, and you don't have to keep up with ever-changing rewards. If you open a new account, you'll receive a $200 statement credit after you use the card to make at least $1,000 in purchases during the first three months. The account also has no annual fee and a zero percent APR for 15 months. This account also includes a variety of purchase and travel protection benefits. Wirecutter indicates that the Citi Double Cash card "is the best credit card to use for everyday purchases" for people who pay off their cards each month, have excellent credit, and who would prefer not to "juggle complicated rewards programs." You don't have to choose categories, worry about spending limits, or remember what percentage various types of purchases earn. With this card, you will earn a one percent reward for each purchase and an additional one percent reward when you pay for the purchase (hence the name double cash). This account does not have an annual fee and allows for customers to make one late payment without a fee (though interest charges continue to accrue). CreditCards.com says it is one of the best choices for second-year card holders as well as new customers. Enticements to attract new cardholders include a $100 bonus for those who make at least $500 in purchases within 90 days of opening an account. The Capital One Quicksilver Cash Rewards Credit Card is another option for people who want a credit card with a basic cash back program. MagnifyMoney.com recommends it as "an entry-level, everyday use rewards card." CreditKarma says it is ideal for "anyone who wants a simple cash back credit card for every purchase - and doesn't want to pay an annual fee." With this card, you'll earn a 1.5 percent cash back bonus, with all rewards credited at the time the purchase is made. This account is also a good option for those who travel internationally as it does not have a foreign transaction fee. New accountholders will enjoy the benefit of a zero percent interest rate for nine months as well as a cash bonus of $150 as a result of using the card for at least $500 in purchases during the first three months. These accounts represent a few of the best cash back programs for individual accounts, but there are many other options. You may also want to investigate credit card programs that offer travel rewards if you would like to earmark your accruals to help pay for a dream vacation.